It has been announced by the Govt. of Punjab that all the government and private schools of Punjab province will remain closed from May 24th till August 15th in the wake of extremely hot weather in the province. This was decided at a meeting chaired by Punjab Education Minister Rana Mashood and secretary education. Earlier, it was decided to reduce school timings. Schools were to start from 7am and will continue will 11am. This was decided due to the summer heat wave. 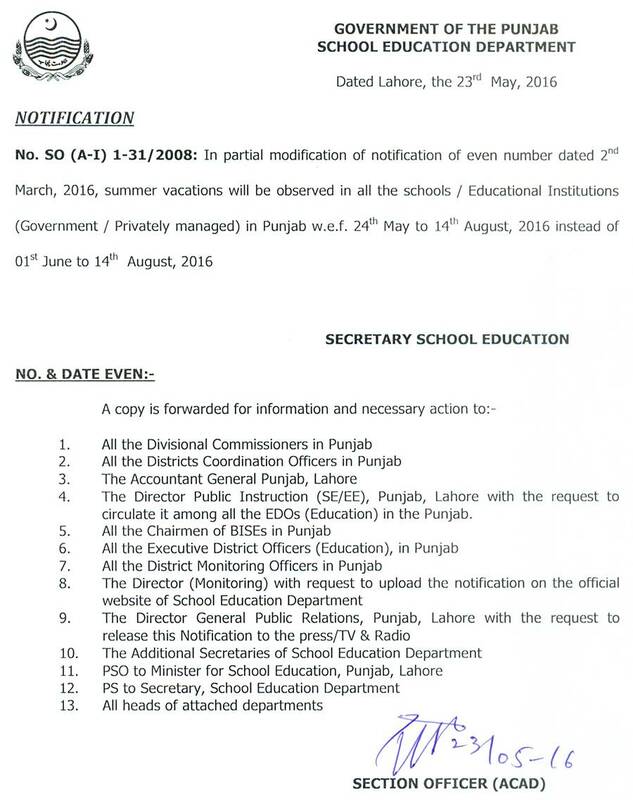 However later on its been decided to start summer vacations from 24th May, 2016. Parents of the students as well as the students are very happy at this decision. Parents are of the view that this will ensure that their children do not get sick due to heat waves. Following is the notification issued by the related department.